These terms of service (the “TOS”) govern your use and access, either as an individual or a single entity (“You” or “Your” as applicable), to the mobile application entitled “Jumbo” (herein “Jumbo”) owned and developed by 2121 ATELIER Inc., a US corporation (“We”/”Us”/”Our”). We have developed Jumbo to enable You to manage at Your sole discretion Your online activity and personal content such as, without limitation, Your searches on Your navigator and/or Your publications, pictures and posts on social media applications …. (“Your Content”) and privacy settings within Your account(s) (“Your Account(s)) on third party applications/services (the “Services”) as available within Jumbo. 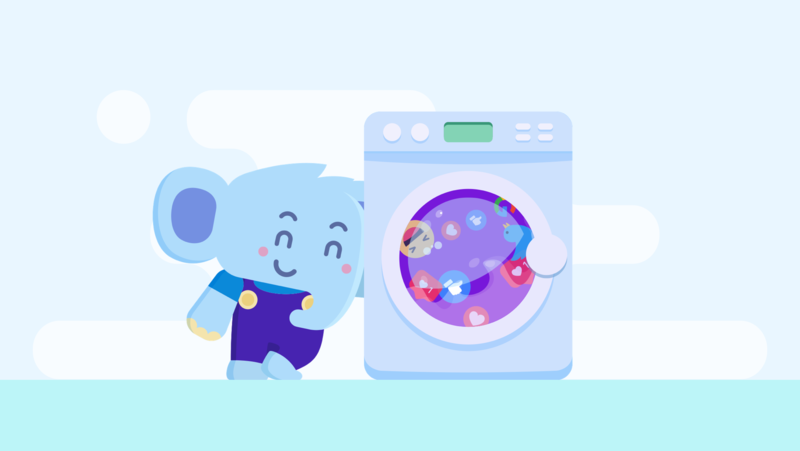 Jumbo allows You to decide what Content from Your Account(s) You want to keep, delete or transfer to store on Your phone and/or third party online storage services (“Storage Services”) and how You want to manage Your privacy settings within Your Account(s). You must be a human. Use of Jumbo by “bots” or other automated methods are not permitted. You should not use Jumbo if You are less than 13 years old of age, or without Your parents and/or legal guardian prior written approval if You are between 13 and 18 years old. You should only use Jumbo for Your personal account on the Services, for Your personal use and in respect of functionalities provided for within Jumbo. Your use of Jumbo is at your sole risk. Jumbo is provided on an “as is” and “as available” basis. If You send Us any question, comment, suggestion, enhancement, idea, and other information regarding Jumbo, We will be entitled to use and disclose them without any restriction, whether commercial or not, free-of-charge. Jumbo may contain elements, materials and content copyrighted and/or protected by patent and/or intellectual property laws. You agree not to reproduce, duplicate, copy, sell, resell or exploit any portion of Jumbo, use Jumbo, or access Jumbo without Our express written permission. You must not modify, adapt or hack Jumbo. You should not use Jumbo in violation of the TOS, applicable laws and/or third party rights. Any decision You make via Jumbo is permanent. This means that once You have chosen to delete Your Content and/or to transfer it to a Storage Service, We cannot retrieve Your Content or transfer it back to the Service it came from. Therefore We invite You to carefully evaluate all the choices You make with Jumbo. We decline any responsibility in the event You regret any such choice. Please note that nothing in the TOS should be construed as granting, explicitly or not, any license or right to use Our trademarks, without Our written authorization in such case. We believe that it is important for You to decide where You want to keep Your Content stored, therefore We allow You to transfer Your Content to Storage Services that We have selected based on what We believe are the most common Storage Services used by You. We have no affiliation nor partnership with such Storage Services, nor We control them. Jumbo allows You to manage Your privacy settings within the Services by choosing from three different strength of security : Low/Medium/Strong. We have built these criteria according to privacy settings available to users within the Services bearing in mind that Jumbo does not interfere with the privacy settings available within the Services, nor does it offer additional privacy settings. For more information on what these three criteria mean concretely for each Service, We invite You to read this help section page. Jumbo is compliant with applicable laws or to the terms and conditions of the Services You are linking JUMBO to. Jumbo does not infringe upon any third party rights. Your use of Jumbo will not cause a security breach related to Your content, and that Your phone will be protected against any virus or interruption. You understand that We will not be liable if any of the above occurs, and You waive any claim and/or lawsuit against Us for such reason. Your failure to keep Your password or Your Accounts details’ secure and confidential. The limitations on Our liability to You within this provision shall apply whether or not We were advised of or should have been aware of the possibility of any such losses arising. We reserve the right to amend the TOS at any time. In such event, the amendments will be notified to You with a special banner within Jumbo. You acknowledge and agree by using and/or accessing Jumbo after the amendment date, You will be deemed having fully consented to the TOS as amended. Jumbo and the TOS are governed by the State of New York laws, wherever You are accessing and/or using JUMBO from. In the event of a dispute regarding the TOS and/or Your use of JUMBO, the courts of New York City, shall be solely competent to hear such dispute. The TOS form the entire agreement between You and Us regarding Your access and use of Jumbo. The TOS supersede any prior agreements. If any part of the TOS are found to be unenforceable, the remaining provisions will remain in full force and effect. If We fail to enforce any of the TOS, it will not be considered a waiver. You will not transfer any of Your rights or obligations under the TOS to anyone else without Our prior written consent. We can freely assign any rights and obligations under the TOS to a third party whether in connection with a merger, acquisition, or sale of assets, or by operation of law or otherwise.